The signs look great! John Kirna can be seen here with his father Oliver taking special care to install one of the two signs. Also, all of the landscaping around the base of the signage was donated by none other than...you guessed it...Williams Nursery!!! By the way, Andrew Kirna (John's brother) just placed a new sign at the Municipal Building as an Eagle Scout Project too. These signs look so professional, and despite my attempts to recruit them to make some new signs for some of our downtown businesses, they said that they were going to retire now from sign making when these projects were completed. Congratulations Kirna family! 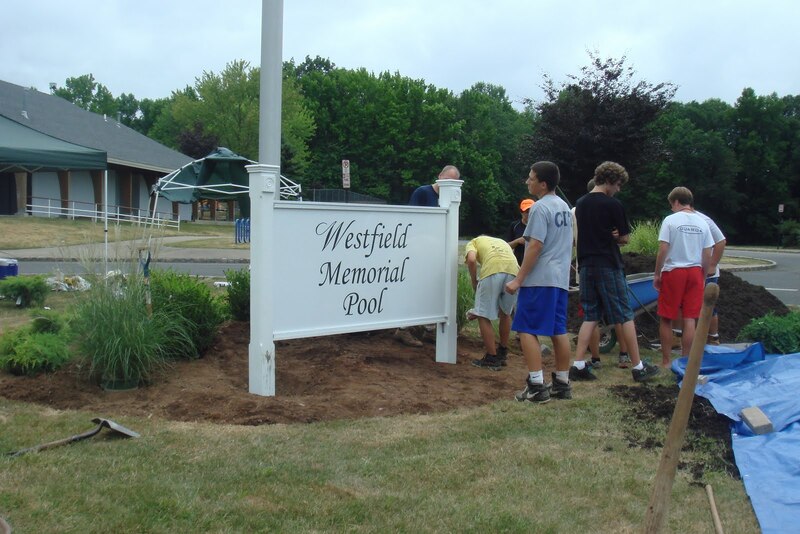 Thanks to everyone who contributed to this great project and thanks to the Kirna's we have some great new additions to Westfield's landscape!